To Autumn, the poem by John Keats describes this time of year as a ‘season of mists and mellow fruitfulness’. This seems very apt, as the days draw in, with both the Nursery and Infant School and the Prep and Senior School holding their Harvest Festival services at St Mary’s Church. 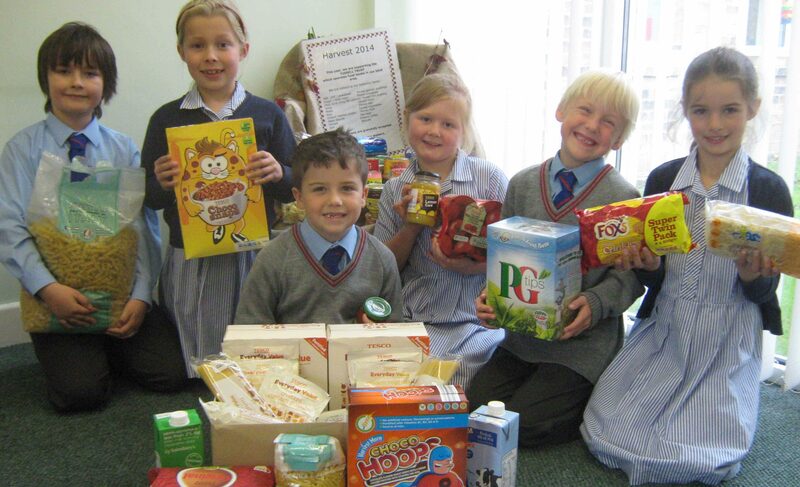 Thank you to all who have been so generous in sending in groceries in support of the Trussell Trust’s appeal. The Nursery & Infant and the Prep & Senior School’s reception areas have been overflowing with a huge assortment of tins, packets and boxes of food. The Trussel Trust is a Christian charity, which operates food banks all over the country. They provide assistance to people of all backgrounds, and all faiths or none, who are found to be in genuine need.